The 50th Festival was in 2016 and we held events marking 50 Years of Green Days weekend. 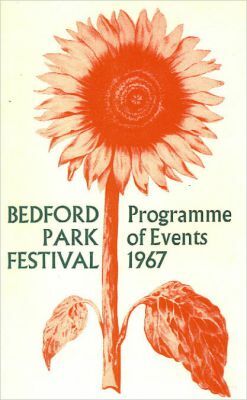 A year on, we celebrated the Festival's Golden Jubilee (1967-2017) and its other highlights, such as the Bedford Park Summer Exhibition. The Festival's first president was the Bishop of London and its patron was John Betjeman, who was also the patron of the Bedford Park Society, formed to protect the area’s fine Arts & Crafts houses from the threat of demolition. The Festival brought Bedford Park back to life, regenerating the artistic spirit in which it was built in the 1870s as the world’s first garden suburb, under the celebrated architect, Richard Norman Shaw. It also helped secure the listing of 356 of the houses, leading to a dozen or more roads in Bedford Park being designated conservation areas. “As London grows bigger and bigger, it becomes increasingly important that there should be a real sense of community in the various areas. To foster such a spirit in Bedford Park is the object of this Festival and I hope that it will be supported by all who live in the area. 50 years on, the Festival is the centrepiece of St Michael’s work in the community and the Bishop’s wish has been more than fulfilled. We’re delighted that his successor, the current Bishop of London, the Rt Revd & Rt Hon Richard Chartres, has agreed to be the Festival’s president for its 50th year. Bedford Park was built in the 1870s under the leadership of the celebrated architect, Richard Norman Shaw, who set out to provide houses for ‘artistic people of limited means’. The community, with its attractive Arts & Crafts houses, church, school, pub, club and ‘village green’, became a magnet for artists, architects, writers and actors. 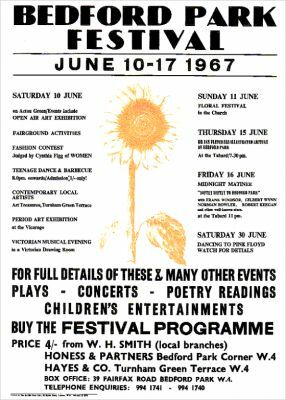 That ‘village green’ spirit was reignited by the Festival in the 1960s, after the area had fallen on hard times following the Second World War – when bus conductors passing the church used to call out ‘Poverty Park’! The fete on Acton Green was soon christened ‘Village Green Day’ – and the weekend is still called Green Days, 50 years on. For thousands of people over the years, it has been one of the highlights of the local year – a weekend when people of all ages, from 9 months to 90, have gathered to enjoy music, food and drink and meet friends and family in the open air; and for children to dress up for the fancy dress parade and enjoy games, competitions and the funfair. 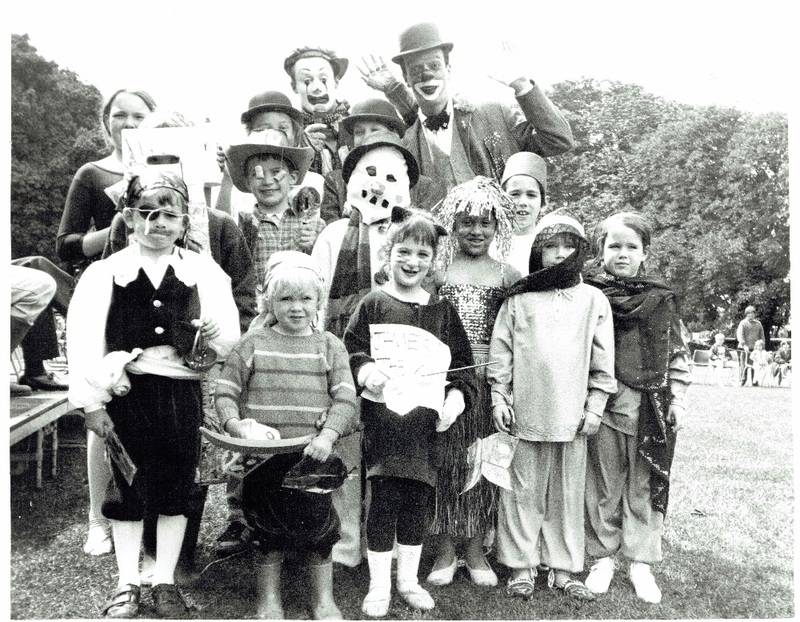 In 2016, at the 50th Bedford Park Festival, we celebrated 50 years of Green Days by inviting old and young to share photographs and memories online and on social media. You can see the photos here (click on 'Back to albums list' to see earlier decades). We also invited celebrities who have opened the Festival over the years to come back for the opening. Over the years, the Festival has raised hundreds of thousands of pounds for charities and the church. 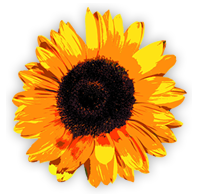 The Festival involves professional artists, musicians, actors and directors, as well as highly accomplished amateurs. The venues are the Church, its Parish Hall, the Tabard Theatre and Arts Educational Schools, and private homes and gardens in Bedford Park. And over the years it's been opened by many local celebrities. Inevitably, there have been casualties over the years. The first Festival featured a Grand Fashion Contest, judged by Cynthia Figg, the fashion editor of Woman magazine. There were two categories - 'The best dressed lady (under 25)' and 'The best dressed lady (over 25)'. Even in those days, this was asking for trouble and according to one of the organisers of the first Festival - now a sprightly 80-year-old - “it led to a good deal of unpleasantness!” The Brentford & Chiswick Times reported that three of the winners were connected with newly-opened Chiswick boutiques, called 'Way In' and 'Nina'. The following year, to make it less exclusive, the event was renamed the 'Fashion For All Contest'. A third category - Home Dressmaking - was introduced, with no age discrimination, but a year or two later the event was abandoned. The Maypole and the donkey rides have gone too - as has the 'Teenage Dance and Barbecue' ('Admission 1/-only - the scene's the Green'). A bonny baby competition ran for a year or two in the early Seventies, as did a dog obedience display, and for a while there was Folk Dancing and an end-of-Festival Ceilidh.